The Grizzlies and Tigers are ready to ball. 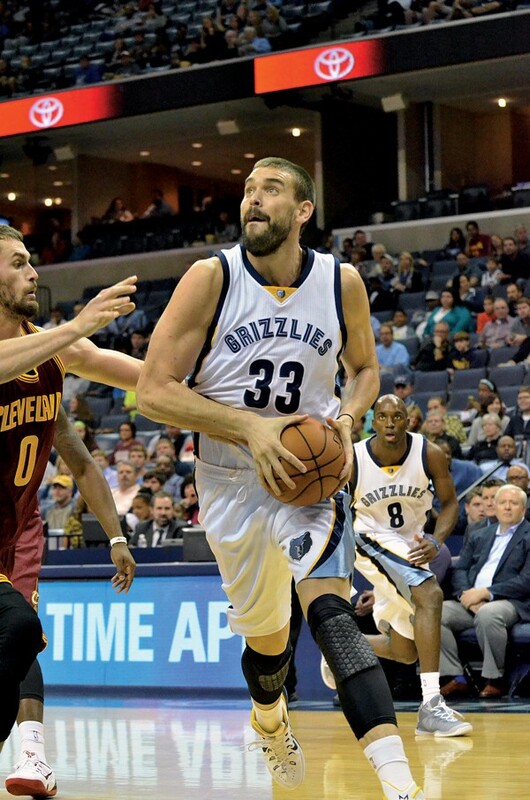 The Grizzlies are back with one of the best, deepest rosters in team history. It may be the best shot they've ever had at an NBA title. "This is the year." It's a thing fans say to each other all the time. This is the year that the team gets over the hump. The year that everything lines up, the year that they catch the lucky breaks a team has to take to make it to a championship. This is the year. The year that we finally get to stop asking, "Are they good enough?" and just bask in it, revel in it, feel what it's like to have something that isn't an "almost." NBA teams are like the peonies in my backyard. They spend a lot of time looking like dead weeds, and then a lot of time as tender shoots coming up out of the spring ground. One morning they burst forth, beautiful, heavy in the dew, the air around them sweet — and then, just as suddenly, they're gone, nothing to look at for the rest of the year. There's a window, a time in which they're at their peak, and then there's the rest, three-and-a-half other seasons. How's that for a strained analogy? And yet, the Grizzlies are one of a handful of teams in the Western Conference that could legitimately win an NBA championship this year. Anyone who tells you any different isn't paying attention. They're deeper than they've ever been, the key players are either reaching the peak of their potential or not yet much past it. The front office has added pieces that strengthen them, but the competition is not going to stay static for long. Marc Gasol is currently in the last year of his contract, making $15.8 million. He'll be an unrestricted free agent when this season ends. Even if his intentions are to re-sign with the Grizzlies without ever testing the free agency waters, he can wait until the season is over and sign whatever deal the Grizzlies offer him at that point. Gasol himself has said almost nothing about the situation, preferring to talk about winning basketball games, winning a championship, and how the team can improve. That doesn't mean the rumors aren't flying — the Knicks, now run by Pau Gasol's former coach Phil Jackson, have already surfaced as a team very interested in acquiring Gasol's services, and they likely won't be the only ones. The whole year is going to be like that, as general managers and agents spin up the rumor mills and try to pry Gasol away from a Grizzlies team and a city that he unabashedly loves. At some point, there will be reports that any and every team with max contract space is pursuing Gasol; that Gasol could "possibly" sign with them; that Gasol will leave the Grizzlies; that he'll stay. It's going to be a circus. That comes with the territory of having one of the best centers in the NBA. It's going to be hard for the team to keep the chatter from becoming a distraction in the locker room. Remember the run-up to the Rudy Gay trade? The whole team said they were just going to go out and play basketball and let the trade rumors fly, that they weren't affected by it. Once the trade happened, though, every last one of them admitted that it had bothered them — especially the longest-term Grizzlies, Gasol and Mike Conley, the guys who had been with Gay all along. These guys are professional athletes, but they're also people, and that sort of speculation is hard to shut out. 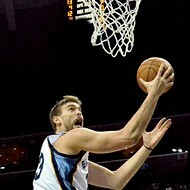 If anyone can do it, it'll be the no-nonsense Gasol, but it'll be a major storyline going forward. The Grizzlies were able to land Vince Carter this summer in a deal that surprised most everyone, including the Grizzlies. Talks weren't going well with fan favorite (and apparent LeBron James favorite) Mike Miller, and Dallas signed forward Chandler Parsons away from blood rival Houston, which left no money for Dallas to use to re-sign Carter. He and the Grizzlies started talking, and soon enough, Carter was a Grizzly, and Miller went off to sign a deal with the Cavs and chase another ring with LeBron. At any rate, Carter (once healthy — he's still recovering from offseason ankle surgery to repair an injury) gives the Grizzlies a new dimension of wing play that they haven't had since, well, the Rudy Gay trade or earlier: someone who can shoot well, get to the basket when he needs to, defend, and create offense when a play breaks down. 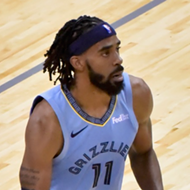 Carter, even at 37, is an upgrade over Miller in every category save three-point shooting percentage and promises to open up the floor for the Grizzlies' bigs in ways that were impossible with the team's roster in recent seasons. It remains to be seen whether Carter will end up starting or fulfilling the same Super Sixth Man role he played in Dallas (though signs point to the latter, and I think that's probably the best use of his skills at this point in his career). If he can recover fully from his surgery and integrate himself into the Grizzlies' second-unit offense, he has a chance to really change the complexion of the Grizzlies' bench and, of course, to be a "closer" in crunch time. 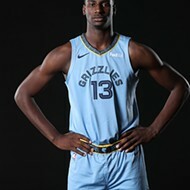 Even though he arrived in Memphis a full season after Zach Randolph (in case y'all forgot the fun 40-win 2009–10 team that fell apart down the stretch), Tony Allen feels like the epicenter of the cultural explosion that is the Grit 'n Grind Grizzlies. 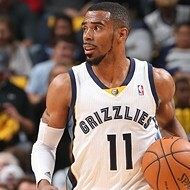 He's the one who said "all heart, grit, grind" in the first place (lest "The Sefaloshas of the world" forget). It was his face and his quote that radio host Chris Vernon put on the T-shirt that launched an entire industry of bootleg/unlicensed Griz gear, lots of it bearing Allen's likeness in some form or another. It's his insane, addled, ball-hounding defense that is so fun to watch in big moments, when he ratchets up the pressure, as the saying goes, and turns somebody's water off. That and his ability to miss every single point-blank layup he gets... except the one that ties or wins the game for the Griz, his flexing on the sidelines, and his constant walking around the court mumbling to himself while everyone else is off huddling or doing some other team activity. Allen is a major reason for the Grizzlies' recent run of success. He is one of the key figures in the deepening of the city's love affair with its pro basketball team, establishing roots in this city that would be hard to pull up. Allen is also a bit of a problem: The things that make him one of the most tenacious perimeter defenders in the league also make him a wild card on offense. Sometimes, he decides to pull up for an 18-foot jumper. Sometimes, he tries to drive through three defenders to the basket and his layup bounces off the bottom of the rim (this has already happened this season). Sometimes, he makes a brilliant cut to the basket for a go-ahead score late in the fourth quarter. Sometimes, he goes rogue and tries to win the game himself, when there are other, better options on the floor. Allen's offense is unpredictable to the point that he's generally a liability on that end of the floor — not only because he can't shoot very well, but also because he seems incapable of slowing himself down to process what he needs to do. Beyond that, Allen's stint on the bench last year clearly rubbed him the wrong way. After an extended hand injury that turned into a wrist injury that turned into "maybe they're just sitting him so they can trade him" speculation, Allen returned to the court and started playing some of the best basketball of his career. The only problem with that, from Allen's perspective, was that he was doing it coming off the bench. He wasn't happy about it and made that known off the court, in the locker room, everywhere but in interviews. 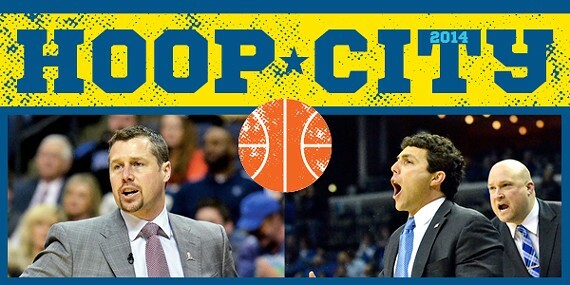 One gets the impression that he feels like his leadership role on the team means he's guaranteed a starting spot, but that doesn't seem to be the case in the eyes of head coach Dave Joerger. Allen is starting again, for now, but if someone else is playing well enough to claim that job, will Allen be pushed back to his sixth man role? And, if so, what will happen to the team's chemistry? Do his defensive abilities outweigh his offensive limitations enough that starting him for morale/chemistry reasons makes sense from a "trying to win a championship this year" perspective? The Grizzlies need the best Allen they can get this year, and they cannot afford for him to be a net negative. If they can keep him happy, and he can play to his strengths instead of holding back a team that needs all the offensive firepower it can get, things will be fine. If anything happens to throw that equation out of balance (whether injury, age, or Jordan Adams) the ride could get turbulent. How Much Z-Bo Are We Getting? 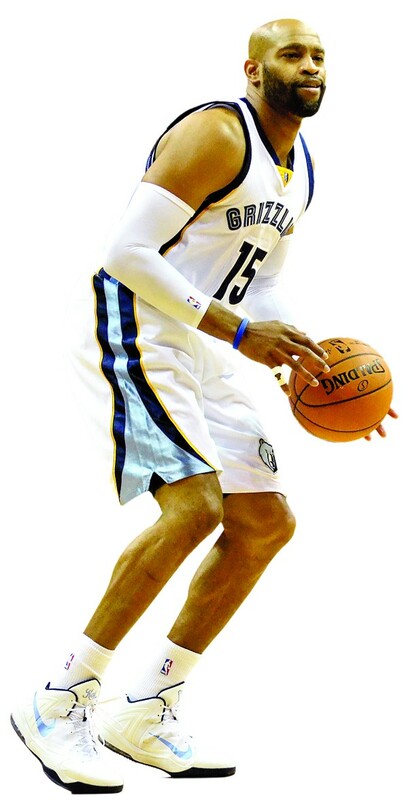 Over the summer, Randolph signed a three-year contract extension with the Grizzlies for $10 million a year that will keep him here through the 2016–2017 season, at least. Randolph had a great season last year, carrying the team's offense on his back (with no small amount of help from Mike Conley) through the dark days of Gasol's injury. 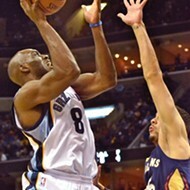 As Randolph (who is 33) ages, his game will decline in some form or fashion, but for the Grizzlies' title hopes this season, he's got to be able to duplicate his success from last year, a return to form for Randolph, who suffered a major knee injury during the 2011–2012 lockout season. There are signs of decline creeping in around the edges for Randolph: his field goal percentage has dropped, his shot gets blocked more often, he has a harder time working through his post moves to get baskets, and — most worryingly — his defense fell off a cliff last year. Randolph has never been a great defender, but in the last year or 18 months, teams have figured out that they can run pick-and-roll plays involving Randolph's man and regularly get a pretty easy look at the basket. If he can improve on defense, or at least not get worse, he'll probably be fine this year. This year's new look, contract-year Gasol is only going to make the opportunities easier for him. If he can stay healthy and can keep himself from being the main point of weakness in the Grizzlies' fabled defense, Randolph, at $10 million this season, is likely going to be a bargain. So what does this all mean? It comes back around to the idea that NBA teams have a limited window of time in which they can win a championship. There's no guarantee of anything in sports. Things that no one can predict happen on a regular basis and change the course of entire teams, entire careers, entire franchises. Everything is lined up for this Grizzlies team to be the best one the franchise has ever put on the court, including the 2013 team that made it all the way to the Western Conference finals. Oklahoma City's Kevin Durant (and now Russell Westbrook) have both suffered big injuries. Houston didn't improve much this summer because it gambled on Chris Bosh and lost. Dallas added Chandler Parsons and bolstered its roster but didn't improve dramatically. The Clippers have an even bigger hole at small forward this year than the Grizzlies did last year. The Spurs are and forever will be the Spurs. Beyond this year, even if one assumes Gasol will return, there is no guarantee of what will happen. Things change. Players age and retire. Chemistry doesn't work out. Trades happen for financial reasons. Other teams improve. Last year — the slow start, the Gasol and Allen injuries, the Randolph Game 7 suspension in a winnable playoff series — should've taught Griz fans that no season can be taken for granted. Will this be the last year of this run of playoff success? Who knows? The team is poised to be good for the next several years, assuming they can hang on to Gasol and Conley. But every window closes at some point, and usually you can't tell it's happened until after your chance at winning it all is gone. When eras end, things tend to collapse under their own weight, leaving wreckage and years of rebuilding to be done. On paper, this appears to be the deepest and best Grizzlies team of all time. Grizzlies fans should cherish this team and this year, because for once, they really could win the NBA championship — and because nothing is guaranteed and nothing lasts forever. The 2014-15 Memphis Tigers will lean on a pair of veteran pillars as a new backcourt finds its way. Rarely has the University of Memphis basketball program undergone the kind of personnel transition Tiger fans will witness over the course of the 2014-15 season. Just last winter, the Tigers rode the play of four guards — all seniors — to a record of 24-10 and a fourth straight appearance in the NCAA tournament. Those guards are all gone, of course, leaving the ball — and the Tigers' hopes for a return to the Big Dance — quite literally in the hands of players with exactly zero minutes played in a Memphis uniform. If you haven't seen Pookie Powell play, or Markel Crawford, or Dominic Magee, or Avery Woodson, pull up a chair and join the crowd. Add Vanderbilt transfer Kedren Johnson to the mix and you have a quintet of new faces, each aiming to take the Tigers new places on the college basketball map. "We're so inexperienced, so young," says Josh Pastner, who aims to become just the second Memphis coach (after Dana Kirk) to take the Tigers to five consecutive NCAA tournaments. "I won't know [what we have] until we play actual competition. I have no clue. Everything's brand new. Every game we play this year will be a new experience for a lot of these guys. We basically have three guys with game experience. That's it." If you combine the premier qualities of the five players likely to man the Tigers' backcourt, you might just have the perfect college guard. Sophomore Powell may be the most versatile scorer (he averaged 27.8 points as a senior in high school). Redshirt freshman Crawford may be the best perimeter defender. Sophomore Woodson could be the best shooter (37.6 percent from three-point range at East Mississippi Community College). Freshman Magee is likely the best penetrator. ("I can drive and finish or drive and kick it out," he says.) And Vanderbilt transfer Johnson may be the best ball-handler (he led the Commodores in assists as a sophomore in 2012-13). But how does Pastner best combine these skills on the court? And who is the guard (or guards) versatile enough to stay on the court when his go-to strength is failing him? "There's talent," emphasizes Pastner. "But they have to develop a better understanding of the game, a better feel for the game. Retention is important, especially at that position. I think we're going to be a good team, but it's a hard read [now]. Sometimes when you least expect it, you have a breakout year. We need to find guys who know the system, know what I want, and can execute it. They'll be the first with opportunities for game time." Powell spent last season with the Tigers but wasn't allowed to practice. If there's a player bursting for minutes on the floor, it's the Orlando native with a toddler's nickname. "Last year actually went by kinda quickly," he says. "I'm just glad to be back out here, doing what I can do. I'll bring energy every time I step on the court. And I want to show Coach I can win. I've never really won anything in my career." Despite the veteran presence in their backcourt last season, the Tigers looked hopelessly overmatched against Connecticut (in the American Athletic Conference tournament at FedExForum) and Virginia (in the third round of the NCAAs) as their season came to an unceremonious close. The few current Tigers who felt the sting of those losses — most notably forwards Shaq Goodwin and Austin Nichols — will be tasked with infusing this year's team with a dose of motivation and toughness. Along with Nick King, Goodwin and Nichols are the only returning rotation players. Kuran Iverson is also back, intent on significantly increasing the 9.1 minutes he averaged in 19 games as a freshman last season. The Tigers will need Goodwin to be as fierce on the floor as he is genteel off it, and the same goes, really, for Nichols. The Briarcrest alum started every game last season, averaging 9.3 points and 4.3 rebounds on his way to Rookie of the Year honors in the American Athletic Conference. Whereas Goodwin lost weight after his freshman season to make more of an impact, Nichols added close to 20 pounds this summer in hopes of the same. "Conditioning is a huge thing," he says. "If Shaq and I can play large minutes and not get tired, that's huge. And staying out of foul trouble. Be smart; no easy fouls." King will likely start at small forward, returning the Tiger lineup to a conventional two-guard, three-forward look at tip-off. The East High alum averaged just 4.9 points and 11.1 minutes per game as a freshman, but showed flashes — like 23 points against Oklahoma State in his second college game — that suggest he could be an offensive force (if his defensive limitations don't force him to the bench). And Iverson is excited to settle into a power-forward slot, even as a reserve. "I like being in the paint," he says, "where I can make my moves easier, near the hoop. I can block shots, play defense, and rebound." Adds Goodwin, "Kuran can be whoever he wants to be. He can dribble, he can shoot. He just has to put it in his mind. He's on the right path. I see a big difference between Kuran this year and Kuran last year." Like his entire fan base, Pastner looks at Goodwin and Nichols as the stabilizing forces for a team desperately in need of on-court leadership. "They have to be consistent," he says. "We have to depend on them and know what we're getting every game." Two new arrivals should add muscle to the Tiger frontcourt, particularly on the defensive end. Calvin Godfrey (6'8", 233 lbs.) transferred from Southern and is actually the only senior on the team. Chris Hawkins (6'6", 230 lbs.) averaged 15.2 points and 6.8 rebounds last season at Southwest Tennessee Community College but was limited to nine games by ankle injuries. 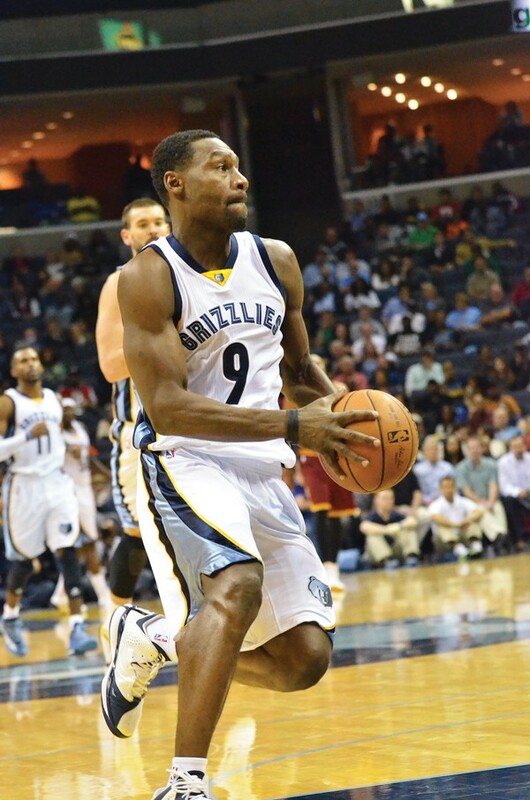 Yet another Memphis rookie, Trahson Burrell, could earn minutes at forward, guard, or both. More wispy than Godfrey or Hawkins, Burrell (6'6", 169 lbs.) was a scoring presence over his two seasons at Lee College in Texas, averaging 20.7 points on 52-percent shooting. 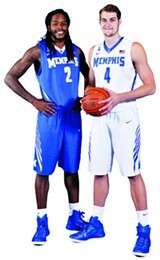 Each of the transfers will don a Tiger uniform with expectations for impacting the Memphis program immediately. "I didn't bring them here to be 10th or 11th guys," Pastner says. "They have to produce for the program. Calvin is 23. He has a maturity about him. Kedren started at Vanderbilt. They have to get the job done, and they know it. If there is a bruiser [on this team], it's Calvin Godfrey." By the time conference play arrives in January, a dozen players now in the mix for significant playing time should be whittled to eight (or even seven). Pastner will go deeper on his bench only if forced. 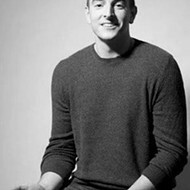 "A seven- or eight-man rotation keeps it organized," he says, "and lets everyone know their roles. But that rotation won't be defined in November. We'll know by the end of November, though, because of the teams we play early. We'll be tested." After opening their season against Wichita State on November 18th (in Sioux Falls, South Dakota), the Tigers face Baylor on Thanksgiving day (in Las Vegas). No team in any sport wants to be considered part of a "transition year." The tag implies losses, growing pains, the only silver lining, perhaps, a preview of better things to come. But it's hard to look at the roster of the 2014-15 Memphis Tigers and not have the T-word at least tickling your consciousness. "It does feel like a transition year," says King, another sophomore thrust into a position of veteran leadership. "New faces, new attitudes. But I think we have great team chemistry. The new players are great people. If you've got a good person, you can make a great player." 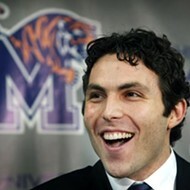 The way Pastner sees things, forget any notion of transition. "This is a start-fresh year," he says. "If you're forecasting, you'd say we're loaded for the future: everybody's coming back, the recruits we're getting. But people are anxious to see how we do this year. This is a brand-new team, starting from ground zero." And does the 37-year-old coach feel any of that anxiety himself? "I'm rejuvenated, excited about it," Pastner says. "There was a lot more managing last year. Every second is more teaching this year. If I wanted to, I could stop every possession of practice to teach. But that's not reality. I have to let them play, adjust, recover on the fly. I wish they'd give us 10 more games to play." There's a photo mural that runs the length of the Tigers' practice court at the Finch Center on the U of M campus: 12 players, arms linked, only their torsos visible. No faces. The mural says, "One team. One goal. No egos." 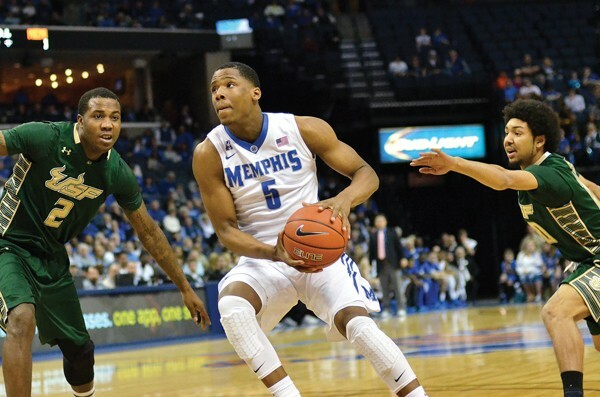 The 2014-15 Memphis Tigers will not be a faceless team. That's impossible in this town. Whether or not those arms remain linked (at least metaphorically) come March will depend on how trying the next four months become for a team that will spend most of the winter learning how to get along, on the court and off. • For a team learning to play together, the Tigers have a schedule luxury: nine straight home games, starting December 2nd (Stephen F. Austin) and ending January 3rd (Tulane). Oklahoma State (December 13th) will highlight this stretch. If you want to circle a few dates on your 2015 calendar, start with January 15th, when Cincinnati visits FedExForum (the Bearcats are picked to finish fourth in the American, right behind Memphis). League favorite (and defending national champion) Connecticut visits February 19th and SMU will be here February 26th.